Set out to new destinations in this Greyhawk class C gas motorhome. 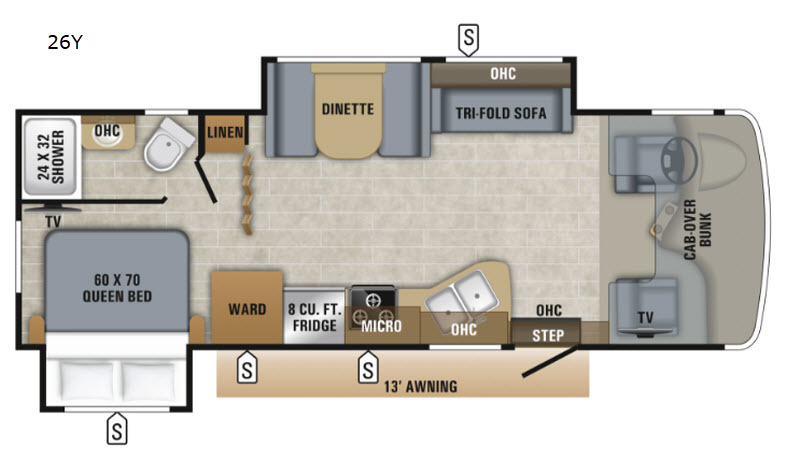 This model features double slide outs for more interior space, a rear bathroom next to the bed, and plenty of space to relax and enjoy the comfortable living area. 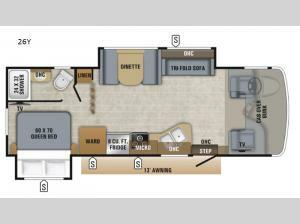 Plenty of sleeping space can be found with the walk-around queen bed, the booth dinette, the tri-fold sofa, and the cab-over bunk. You can choose an optional front entertainment center instead of the bunk if you like too. Along the exterior there are multiple storage compartments plus a 13' awning where you can plan to sit and visit with your family and friends. Step inside, you will be happy you did!